This article will walk you through the process of cancelling your trial or subscription with us. Next, select the Billing tab at the top of the page to manage your subscription. 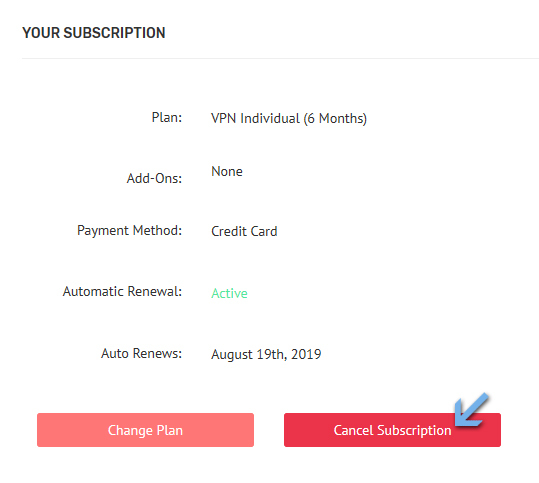 Finally, click/tap on the Cancel Subscription button. If you need further assistance, please open a support ticket, or e-mail us at support@virtualshield.com if you would like to cancel your account. We won't be able to cancel your account unless you provide all of this information. Please allow up to 24 hours for your account to be cancelled.